This film is a bit of a departure for Need That Car, as it is more historical than automotive, but don’t worry, there are a ton of cars to glance as the film rolls along. 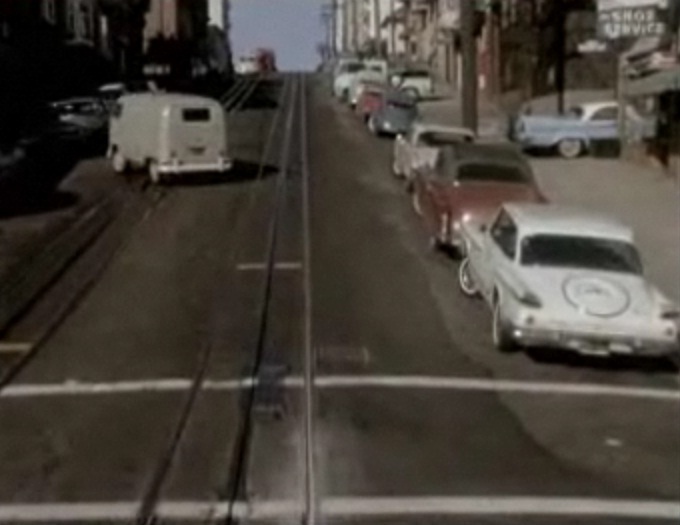 Rick Prelinger has spent countless hours assembling a combination of historical footage, old home movies, and old stock footage into a mesmerizing series of films that visually documents San Francisco through much of the 20th century. This film includes clips from 1906 (just before the big quake and subsequent fire) all the way up to the 1970s and the opening of the Transbay Tube (Bart). This video is actually a film of a public screening of Lost Landscapes, which was shown at old Castro Theater in San Francisco. During the screening, the audience is encouraged to participate and help to identify areas and buildings in the various shots. The film is about an hour long and includes about 13 minutes of introductory footage. Once the film gets rolling it reels you in and holds you there. There is even one scene where a young family stops at a service station for a fuel and a check under the hood. The everyday life aspects of these clips add a human element that you don’t see in staged classic movies. I was fortunate enough to attend a screening just like the one you see here. During that screening, someone in the audience yelled out, “That’s me!” She received a huge round of applause. Prelinger (who was presenting) commented that home movies are the most important historical films. Since most NTC readers aren’t from San Francisco, it’s probably more fun to play “name that car” than “name that building”. 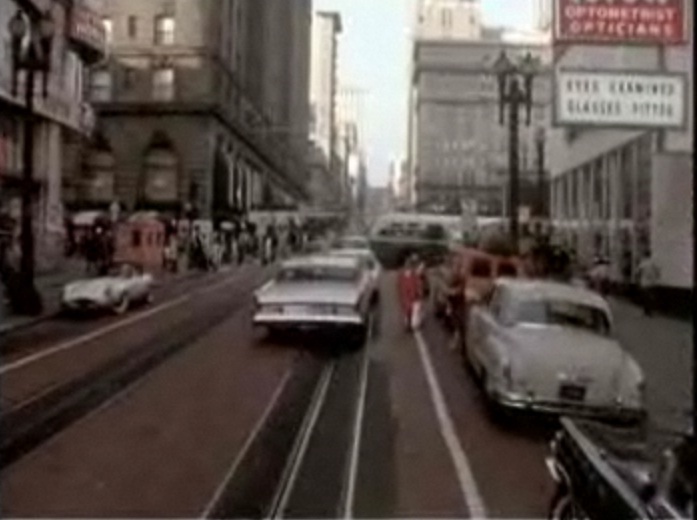 So watch the film, see the cars, and learn some history about one of America’s greatest cities. Click here for the film! This entry was posted in 1930s, 1940s, 1950s, 1960s, Gems from the Dark Years (1971-1987), Sweet videos and tagged Lost Lanscapes of San Francisco, Rick Prelinger, San Francisco archival footage, The City. Bookmark the permalink.